SAMMY CARDIGAN is a modern French inspired cardigan hand knitted using merino wool. 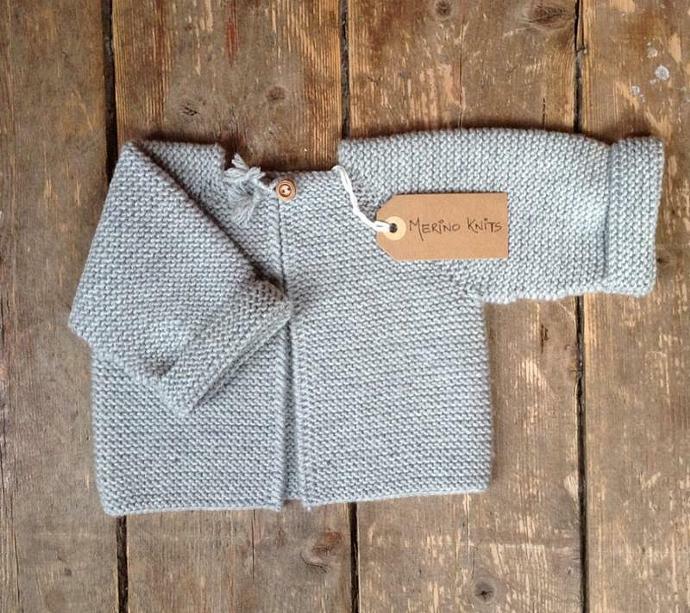 It is a very cute unisex cardigan and a must have for baby's wardrobe. Sammy makes a wonderful gift as the braided button hole and single wooden button at the neck make this garment unique. Garter stitch combined with wool add warmth and breathability. 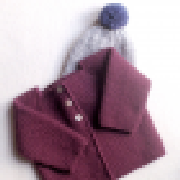 This cardigan is featured in grey but available in a selection of beautiful colours and sizes. Machine wash on a wool cycle or hand washed at 30o. Your cardigan will arrive wrapped in tissue.